Studies have shown that Femarelle® Rechange alleviates menopausal symptoms, such as hot flashes, sleep disturbances, night sweats and joint and muscle discomfort*. The proprietary ingredient DT56a has been researched and developed over 16 years by leading women's health. Standardized ingredients are used to produce this unique formula, ensuring efficacy and standardization of each batch, according to strict manufacturing procedures. 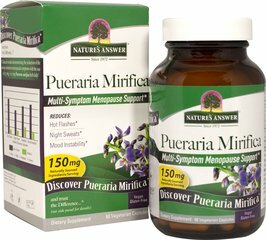 Pueraria Mirifica Estro Balance with DIM from Nature's Answer is a natural women's health supplement delivered in vegetarian capsules. Pueraria Mirifica has been used traditionally in its native Thailand for centuries and modern science has now isolated active phytoestrogens from this plant, which help support female hormone balance. 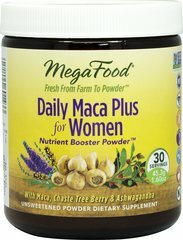 Di-indolylmethane (DIM) is a substance extracted from vegetables like kale and broccoli, which helps to enhance this female-friendly formula.